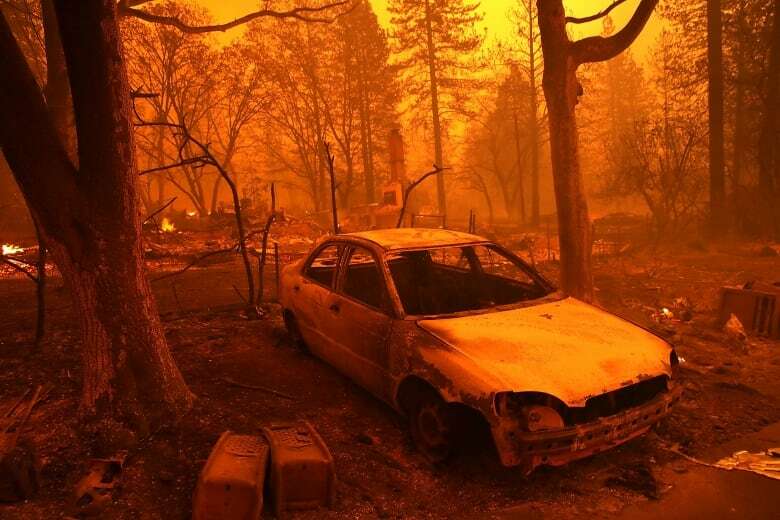 Tens of thousands of people were ordered to flee a fast-moving wildfire that exploded in size Thursday, threatening several Northern California communities and forcing panicked residents to race to help neighbours who had to drive through walls of flames to escape. 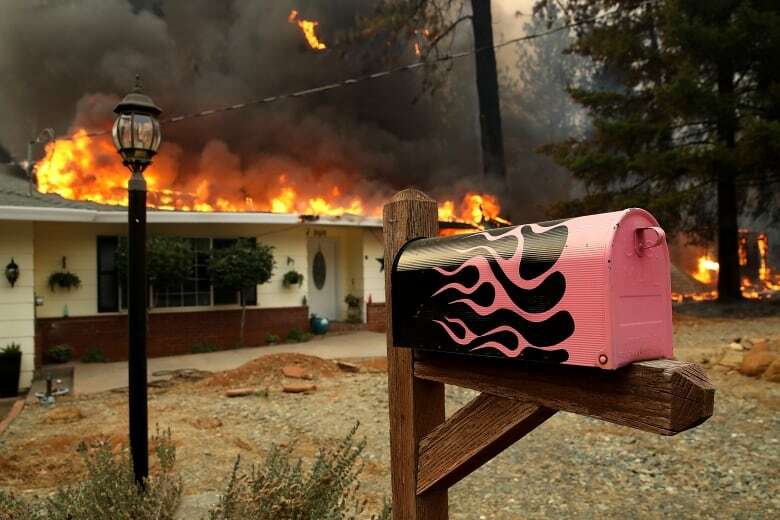 It went from a spark to a wildfire covering more than 70 square kilometres in about six hours, and officials say the out-of-control blaze in Northern California is still growing. 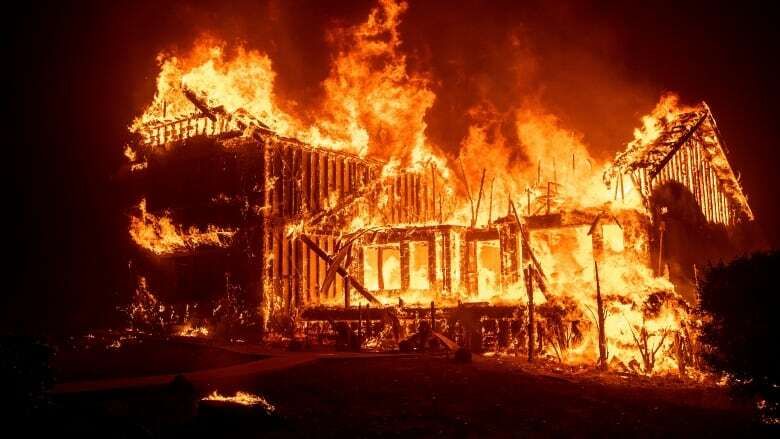 Tens of thousands of people were ordered to flee the fast-moving flames — dubbed the Camp Fire by officials — that exploded in size Thursday morning, threatening several communities and forcing panicked residents to race to help neighbours who had to drive through walls of flames to escape. 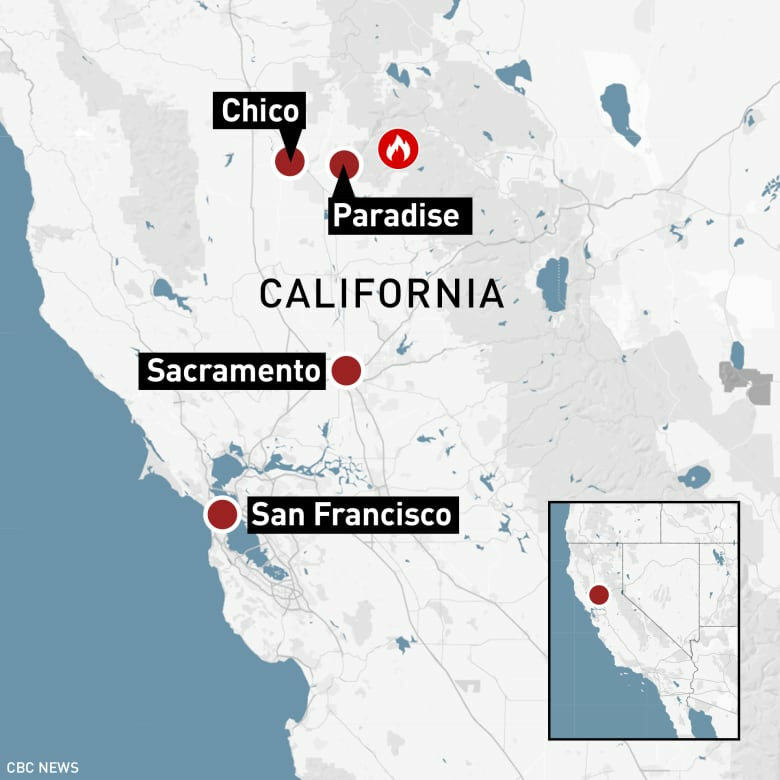 McLean estimated that a couple of thousand structures were destroyed in the town of 27,000 residents about 300 kilometres northeast of San Francisco, was ordered to get out. By nightfall on Thursday, it had consumed more than 73 square kilometres and firefighters had no containment on the blaze, McLean said. Butte County Fire Chief Darren Read says multiple civilians and two firefighters have been injured and a significant number of buildings — as many as several hundred — have been lost. 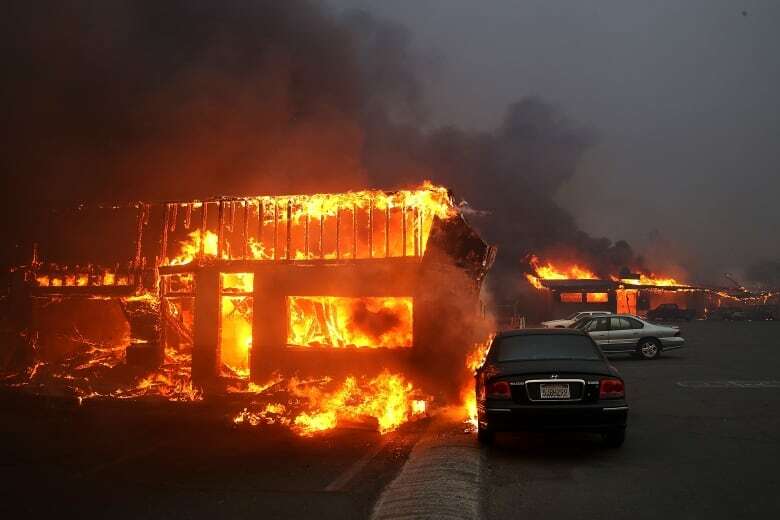 An Associated Press photographer found businesses and homes levelled or in flames, including a liquor store and gas station. Evacuees tweeted dramatic videos of what they were forced to drive through. "It's bad," Honea told the Enterprise-Record. "We're trying to get as many people out as quickly as possible and save as many lives as we can." "The whole town is burning," Bob Van Camp, a resident who escaped on his motorbike, told local TV channel Action News Now. "We had to ride through flames to get here," he said from the side of a road west of Paradise. 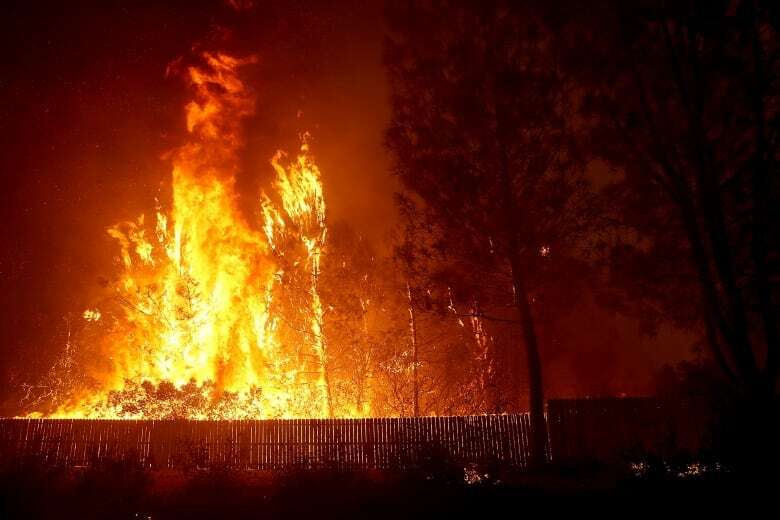 The California Department of Forestry and Fire Protection tweeted that the fire broke out at about 6:30 a.m. local time in the Feather River Canyon, prompting an evacuation of the immediate area. 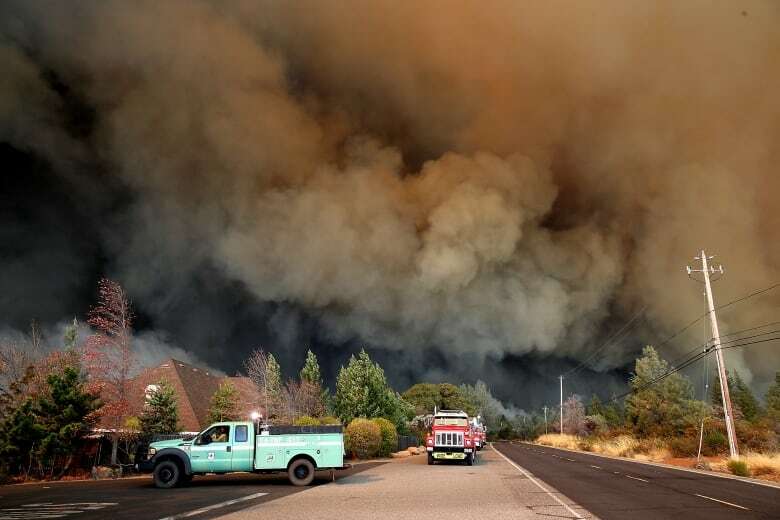 Just hours later, as the fire spread, officials ordered the Paradise evacuation. One woman who got out said people abandoned their vehicles and held babies and pets as they escaped. Gina Oviedo said there was fire everywhere as she got out of Paradise, adding that homes were engulfed in flames and utility poles were crashing down. Paradise resident Kevin Winstead said the whole lower side of the town was burning. "Not one home will be left standing," he said. Firefighters are struggling with hot, dry conditions and winds of up to 80 kilometres an hour. "It's really dry and we have low humidity and unfortunately those are great conditions for a fire to spread," said Cal Fire spokesman​ Rick Carhart. Shary Bernacett said she and her husband tried to get people to leave the mobile home park they manage in Paradise, with just minutes to evacuate, as the wildfire approached the east side of town. 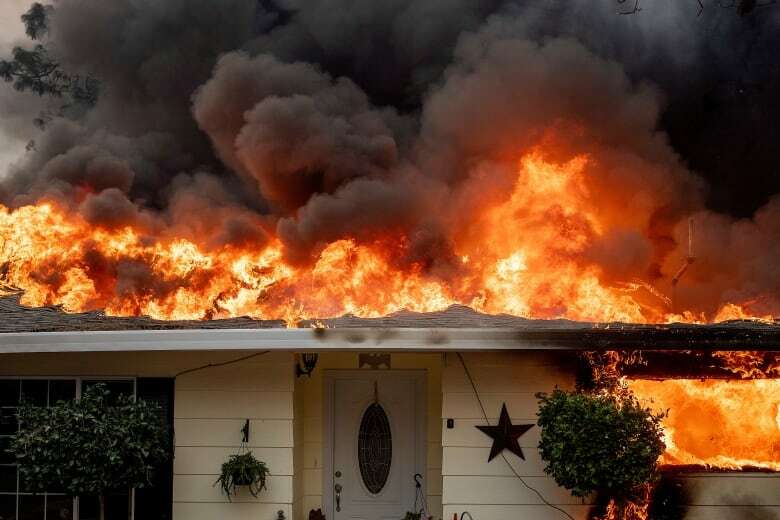 Bernacett said they "knocked on doors, yelled and screamed" to alert as many of the residents of 53 mobile homes and recreational vehicles as possible to leave the area Thursday morning. She and her husband grabbed their dog, jumped in their pickup truck and drove through three-metre-high flames before getting to safety. She said the air is black with smoke and ash. Bernacett said the fire also overtook the hospital three kilometres east of the mobile home park. 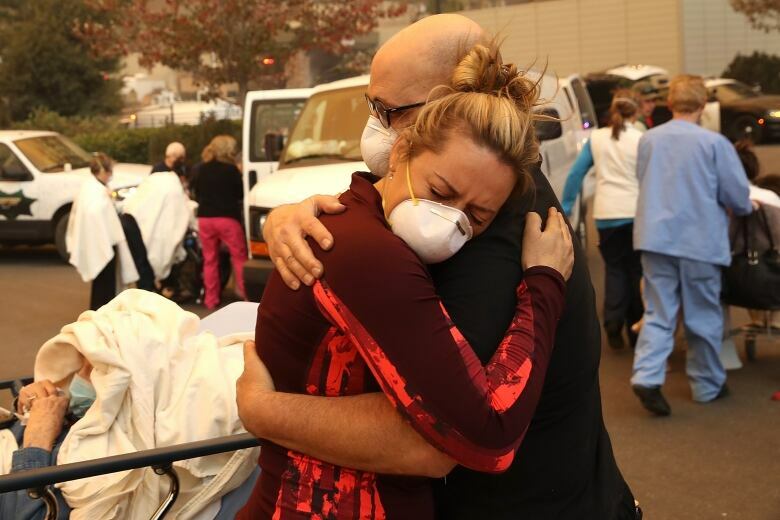 Adventist Health Feather River tweeted that it has managed to move all of its patients to other hospitals in the surrounding area. Shelley Freeman says her family and friends scrambled to get away as the fire approached. She says she heard from a friend that people, horses and dogs had congregated in a parking lot of a Kmart in Paradise. California is experiencing one of its worst fire years ever, with 251,610 hectares burned as of last Sunday in areas covered by Cal Fire, nearly twice the amount during the same period of 2017 and nearly triple the five-year average.